Check out Sizzling Summer Reads at The Romance Reviews! 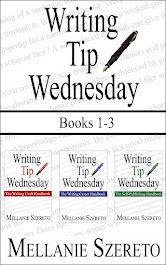 Welcome back to Writing Tip Wednesday! So many of my writer friends have been under deadline, dealing with health issues, and just plain buried under family and work responsibilities lately that it seems like we've all been playing catch-up. The wonderfully cheerful and sweet Susan Gee Heino is my guest this week and she's offering some great advice. Wecome, Susan, and thanks for being here! Writing a book is like parenting. It keeps us up at night, it fills us with pride, it makes our hearts dance, but it can also make us want to pull out our hair. Writing something with the goal of seeing it published is not for the faint of heart! Most of us don't write because it's a relaxing way to spend our free time, but because there is some deep, primal instinct that urges us onward. We can't not pour ourselves into our books. Ask just about any novelist and she'll tell you that her book is her baby. Ask "which of your books is your favorite?" and you'll get a confused stare. The emotional investment in crafting a book is so huge, so personal, that there's really no way to disconnect ourselves from it. Even if we want to, and—as any parent will admit—sometimes we do. But just as in real-life parenting, these babies that we love and hold close in our arms will someday grow up. They have a bright future ahead! Books aren't meant to be merely a document on our hard drive or just a pleasant hobby that we poke at from time to time. Books are meant to be read by others. It's hard to let go sometimes, though. We want to keep our baby just the way it is, safe and chubby and cuddly and cute. We don't want to run the risk of exposing it to reviewers and sales reports and people who just don't get it. If your dream as a writer is to become published, though, this is exactly what you have to do. You have to be a good parent to that book-baby. So don't think of your book as your baby; think of it as what it will become someday. Will it be the next big thriller? Will it be an implement of comfort and hope? Will it provide insight and amusement? Will it set the world on fire with heat and emotion? No baby can do all that, but a full grown book can. All of your hard work now isn't just passing the time. You're not simply hitting your daily word-count goal or polishing pages. You are taking your wonderful idea—your brainchild—and nurturing it all the way from infancy to full adulthood. You are guiding your book through its long journey toward publication. You're teaching it to drink from the big-boy cup, you're taking off the training wheels, you're holding its hand when it gets stood up on prom night. Everything you do as writer is aiming toward that final product. Your book has to be able to swim in the deep end. It has to hold its head up high when faced with a bully. It has to make people fall in love with it. It can't stay a baby forever and that's why you work so hard. So my advice to new writers is to love their book, but don't treat it like a baby. Let it grow up. Learn your craft, set some goals, and take your efforts seriously. Find out what is happening in the market and use that knowledge to give your book what it will need to succeed. Nurture its unique personality and encourage it to reach beyond clichés and redundancies. It's a scary world out there, but your book can make it. Have faith in it, and lean on all your writer-friends for support when junior seems to be throwing a tantrum or wandering off in the wrong direction. Put that baby on time-out and by all means, don't spare the delete key! Do whatever it takes to whip your book into shape. The extra effort will be worth it when the time comes for your precious darling to leave the nest and soar. Susan Gee Heino is a former actress, playwright, and theatre director, so she's no stranger to the dramatic. In 2008 she won the RWA Golden Heart® Award for Best Regency Romance, and her first book was released by Berkley Publishing in 2009. Since then she has published nearly 20 books and novellas. Her most recent title is THE GHOSTLY GOAL OF SCARY LORD LARRY, a Regency ghost story. Along with her lighthearted Regency Romance, she writes quirky small-town Contemporary Romance. 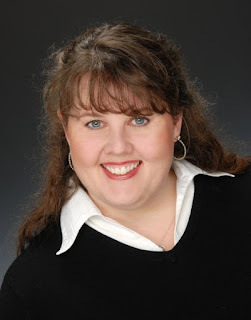 Under her pen name, Serena Gilley, she writes The Forbidden Realm fantasy romance series. Ms. Heino lives in rural Ohio with her pastor husband, two very creative children, and an accidental collection of critters. She loves to get to know her readers and invites everyone to connect with her on social media or visit her websites at www.SerenaGilley.com and www.SusanGH.com. Thanks for hosting me, Mellanie! Even as crazy as life gets sometimes, it's great to have books and blogs to help keep us sane. Great to have you visit, Susan! Life without books would truly be crazy! Great advice. Every little bit helps! Thanks for stopping by, Bella! I'm thrilled to know so many writers who enjoy sharing their advice with others! Get e-books signed through Authorgraph! Release Day for Death Benefits!!! Copyright © 2018 Mellanie Szereto. Picture Window theme. Powered by Blogger.